Credits: "Septian simon at Unsplash.com"
Scarring is common among those with acne. One study estimated scarring to be present in 43%, and another study estimated that this may be up to 91% if “mini-scars” on the face were included. Scars that sink into the face (known as atrophic scarring) are the most common type of scars seen in acne patients. They are usually described as “box-car” or “icepick” scars and tend to be permanent. Due to their long-lasting nature, studies have shown that acne scars have detrimental psychosocial effects on a person’s life. The severity of these scars is not always proportional to the degree of inflammation. In other words, even mild or moderate acne can lead to scarring and one study estimated that 69% of those with acne scars had mild to moderate acne. Acne related scarring can be prevented or reduced if the acne is treated adequately. Nowadays, resurfacing therapies such as laser, filler, and micro-needle based treatments are available to decrease the appearance of scars. The amount of sessions or treatments needed tends to vary. Apart from changes in texture, acne scarring can also include changes in pigment that is known as post-inflammatory hyperpigmentation. This darkening occurs as a result of inflammation and tends to occur in those with darker skin pigment tones. One of the effective ways to prevent the pigment from darkening is to wear sunscreen daily, as the UV rays from the sun darken pigmentation. 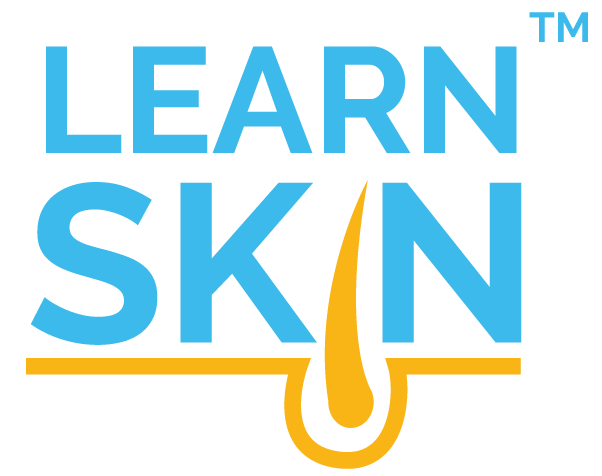 Overall, it is important to be aware of how the skin naturally heals during or after acne breakouts, as scarring can be decreased if treated properly. Typically, acne presents itself in the face, back, and chest. However, a different condition that can present with acne and also involves recurrent boils and lesions in the groin, armpit, and buttocks area is called hidradenitis suppurativa. Hidradenitis suppurativa is reported to be painful and can be accompanied by a bad odor. It progresses to forming collections of pus (known as abscesses) that are not due to bacteria. Like many other dermatological pathologies, hidradenitis suppurativa can have a devastating emotional impact on the individual. Getting treatment as early as possible can greatly reduce the progression or severity of the disease. Lesions in the armpits, under the breasts, in the groin, or in the buttocks raise the possibility of hidradenitis suppurativa. The skin has an obvious way of responding to the hormonal changes experienced during the menstrual cycle. If the acne noticeably flares during the menstrual cycle, it might be worth noting if it occurs before, during, or after menses. A recent study observed 32 young adult women and found that the number of pimples on their face increased in the pre-menstrual period. For acne that flares due to menstrual periods, medications may be used to regulate the menstrual cycles or control the effects of hormones, consequently reducing acne flaring. Commonly, oral contraceptive pills and spironolactone are two medications that are used to treat acne if there is an association with the menstrual period. An IUD is a form of contraception that has gained popularity in the past decade. There are two types of IUDs: copper IUDs and hormone-releasing IUDs. Hormone-releasing IUDs can have various side effects such as weight gain, mood depression, and acne. One clinical report describes three women who developed acne vulgaris that was linked with the placement of a hormone-releasing IUD; specifically, levonorgestrel. Other studies have noted acne as a side effect with hormone-releasing IUDs. Other skin conditions can cause pimples that look similar to acne, including rosacea. Rosacea is a chronic inflammatory skin condition that involves episodic flushing and facial redness, small red pimples, dilated blood vessels, and swelling. Although rosacea is typically seen more often in people with fair skin, it can occur with anyone. Rosacea has several triggers, like sun exposure, spicy food, and certain beverages. Flushing may indicate rosacea or an overlap of acne with rosacea. See the difference between rosacea and acne in Table 1. The skin is the outermost layer of the body and consequently, it is the first thing that we see. When a dermatological condition presents itself, the psychosocial impacts it can have may be devastating. Studies have shown that acne can cause depression, anxiety, social inhibition, and suicidal ideations, to name a few. When the manifestations of acne are treated and the condition becomes less severe, noticeable changes in a person’s attitude, self-confidence, and outlook on life become apparent. Tan J, Kang S, Leyden J. Prevalence and Risk Factors of Acne Scarring Among Patients Consulting Dermatologists in the United States. J Drugs in Dermatology. 2017;16 (2):97;PMID: 28300850. Hayashi N, Miyyachi Y, Kawashima M. Prevalence of scars and “mini-scars”, and their impact on quality of life in Japanese patients with acne. J Dermatol. 2015;42(7):690-696; PMID: 25916427. Gozali MV, Zhou B. Effective Treatments of Atrophic Acne Scars. J Clin Aesthet Dermatol. 2015;8(5):33-40; PMID: 4445894. Fabbrocini G, Annunziata MC, D’Arco V, et al. Acne Scars: Pathogenesis, Classification and Treatment, Dermatol Res Pract.2010; PMID: 2958495. Fife D. Practical Evaluation and Management of Atrophic Acne Scars: Tips for the General Dermatologist. J Clin Aesthet Dermatol. 2011;4(8):50-57. PMID:3168245. Ball SL, Tidman MJ. Managing patients with hidradenitis suppurativa. 2016; 260(1793):25-29. PMID: 27382916. Saint-Jean M, Khammari A, Seite S, Moyal D, et al. Characteristics of premenstrual acne flare-up and benefits of a dermocosmetic treatment: a double-blind randomized trail. Eur J Dermatol.2017. PMID: 28251894. Johnson BA. Insertion and Removal of Intrauterine Devices. Am Fam Physician.2005;71 (1): 95-102. PMID: 15663031. Burkman RT; Shulman LP. The levonorgestrel IUD. Dialogues in Contraception.2001; 7(1):1-3. Link to research. 15 March, 2017. Link to research. 13 March, 2017. Tan JK. Psychosocial Impact of Acne Vulgaris: Evaluating the Evidence. Skin Therapy Lett. 2004; 9(7): 1-3. PMID: 15334275.